Essentially if you move your window around and touch the corner, it will automatically maximize the window. After a while it can get quite annoying. It is one registry key change. 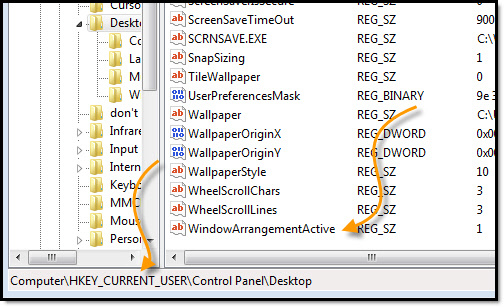 Look for the value named “WindowArrangementActive” and set it to 0. You will need to log off, and log on to make it active. After that, windows will no longer automatically maximize. It is a free download if you want to use it on 3 computers or less. This will also turn off the side by side zooming i believe (move window to the side of the screen), which I use extensively. can’t keep one without the other. You can also turn it off and on in 7’s “God Mode” and it takes effect immediately without logging off. I did not know that. Thanks for the tip. Thanks this worked great! Although i needed to opposite! it fixed our problem. The window would resize and mess up our present resolution. Thanks! I also want to disable the clicking on the titlebar maximizing the window (I have a maximize button if I want it). I want to disable maximizing by either clicking or double clicking the titlebar. I am a web master and used to MAC. I am working on a corporate site on a pc. This “feature” was driving me crazy. Nice user interface tool. 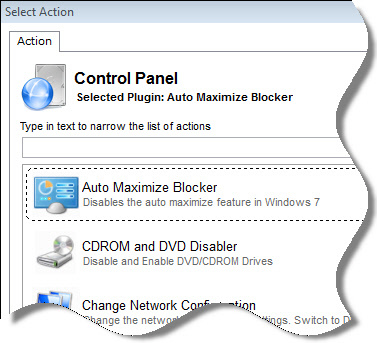 windows automatic maximizing with mouse clicks is annoying enough to make one buy a mac. After all there is a maximize button on top right. I would LOVE to turn off maximizing with mouse clicks. Using Remote desktop the server connection protocol is not so good that it very often misinterprets how many mouse clicks. This MS feature is a time waster, not a time saver. This involves no registry change. 1. Please go to “Control Panel – Ease of Access Center”. 2. Go to “Make the mouse easier to use” and check the item “Prevent windows from being automatically arranged when moved to the edge of the screen.”. 3. Then go to “Make the keyboard easier to use” and uncheck the item “Prevent windows from being automatically arranged when moved to the edge of the screen.”. After applying the settings, if you drag the window to the edge of the screen, it will not be “auto-maximize”; and you can use the function with the hotkeys (Win+Up, Win+Left Win+Right,etc.). Shakespeare you are a lifesaver. thanks so much. that “auto maximize” feature was driving me insane.